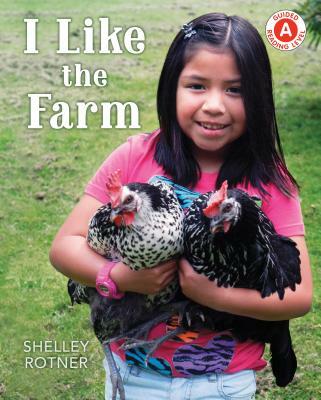 Children share their love for farm animals in a hard-to-find Guided Reading Level A nonfiction reader from an award-winning photographer. "I like the pig . . . I like the piglet." Simple, joyful text accompanies Shelley Rotner’s vibrant and heartwarming photographs of children and animals on the farm. Young readers will learn to identify adult farm animals with their babies and will enjoy the children’s looks of happiness and wonder at being close to creatures big and small. Shelley Rotner is the author and photo-illustrator of more than thirty books, including Grow! Raise! Catch! How We Get Our Food. Her collaborations with Sheila M. Kelly include Yummy! Good Food Makes Me Strong, a National Science Teachers Association Outstanding Science Trade Book, and Shades of People, an ALA Notable Children’s Book.